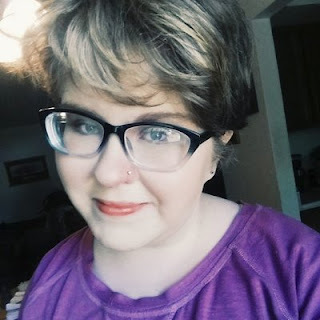 Hello writerlings! Happy Valentine's Day! In honor of this holiday, we've whipped up a special edition of Beautiful People for you all that's focused on couples! Pick an OTP (one true pairing) from your WIP (work in progress) and you'll be good to go! 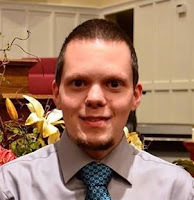 Today I'm pleased to be hosting a guest post by my friend, author Elijah David. I think I've known Eli around six or seven years now, which is honestly so wild! He's one of my favorite people and I'm really honored to know him and host him on my blog. Today I've asked him to share a little bit about how he came up with the idea for his novel Albion Academy! Is a Djinni just a trickster? Can a wizard only learn magic? Must a Valkyrie always ferry the dead? For Mortimer, Merlin, and Bryn, it seems the fates have already written the ends of their stories. When Mortimer asks unorthodox questions, the Djinni Elders exile him to a human school of magic—Albion Academy. Merlin's friendship with a mortal only increases his mother's determination for him to live up to the heritage of his ancestors. And Bryn's prophetic sisters outright declare that her fate is tethered to Mortimer, Merlin, and the mysterious door in the school's basement. As the three of them struggle against the constraints of their families' expectations, they find themselves inexorably drawn into a conflict that encompasses rogue Faeries, dangerous mortals, and sorcerers hidden in Albion Academy itself. Defying their fates might be the only way they survive their first year at Albion Academy. Sky asked me how I came up with the idea for Albion Academy, and although I have touched on this in some of the other posts on the tour, I thought I could lay out a more detailed view of the matter. The initial idea for what became Albion Academy was the question "What would it look like if Merlin the wizard were a student in a modern high school?" I toyed with this idea for all of a week (if that) before deciding that, much as I love the old man, I didn't need to write this book about the original Merlin (called Merlin Ambrosius in the book). I would write about a new Merlin, a descendant of the first. But where did this new Merlin come from? His origin and backstory were some of the first details I worked out. He was a descendant of both Merlin Ambrosius and King Arthur, the bloodlines having crossed somewhere along the way. Thus, Merlin Pendragon was born. He hasn't changed much from my initial understanding of him, except to grow more into himself. Merlin's family, his Knower Harry, and most of the other cast members came almost without needing to be called. The scene in which Merlin chooses Harry as his Knower – that's the person entrusted with his True Name – is one of the earliest scenes I wrote, and has remained constant in each successive draft, although its place in the narrative has shifted a few times. Once I'd established the setting, I started thinking of other mythologies that could blend into the world I was creating. I didn't want this to be purely an Arthurian story. There was too much myth in the world to have such a singular focus for this book. So Puck (aka Robin Goodfellow) bounced in very early on, followed quickly by the Djinn, the Valkyries, the Myr (mermaids), and others. Mortimer was an important character almost from the beginning (when he was still called Mortimer the Widower despite never having been married). Mortimer wasn't the only character to get his name tweaked over the course of the book. Nina Smith was originally named Kayla, but I realized that this was too close to Merlin's sister Kaya and switched it to Nina. (She had the smaller role in the book, so hers had to be the one to change; she's much happier with the new name, anyway.) Speaking of name changes, there are two that were more drastic than the others. The first is Gabriel Faust, the mortal boy who causes trouble for Merlin throughout the book. He began his existence as a wizard classmate of Merlin's named – wait for it – Melman Goode. Yeah. Terrible name. That's why he's now Gabriel. His personality got a bit of a facelift as well, but deep down he's still the troublesome but all-too-human kid. The other major name change was actually not a character's but the book's. For a long while, I simply called it "Merlin" or "the Merlin book". But I can't work on anything for long without giving it a title, even a temporary one (though my titles are rarely temporary). I settled on SOMEDAY, an acronym for (The) Schools of Magical Education: Dragons and Yali. The idea was that I would visit the other Schools in the rest of the books, and each would have a similar acronymic title. Unfortunately, the acronyms . . . were less than accommodating. Even when I could make one that worked, the beings and phrases included usually had nothing to do with the plot of the book (and quite often they were just plain terrible; for example WHERE was a nightmare). After struggling with the acronyms for the rest of the series throughout the first draft of the book, I finally accepted the fact that the title had to go. I kept the subtitle (Dragons and Yali) as a chapter title, and went for the most obvious title: Albion Academy. I still wanted the connection between the titles in the series, so I racked my brain for appropriate words beginning with the letter A. I had the titles for the series in less than a day. After the crisis of title, I faced the final major shift of the book. In the earliest fragments, I had attempted to tell the story from third person perspective, with an omniscient narrator overviewing the action. This was how I'd always written before, so it seemed natural to continue in this way. But every time I came to Merlin's portions of the story (which at this point were essentially all of them), I found myself slipping into first person. I'd only got a few chapters into the book when I realized I needed to write it in first person from Merlin's perspective. Once the first full draft was complete, I read through it in preparation for revisions. While doing so, I came to a stunning conclusion: Merlin's story wasn't the only one that needed telling here. By this point, Bryn had established herself as a main character, part of my trio at the heart of the series. So the book became a three-narrator novel, with Mortimer, Merlin, and Bryn each telling their portions of the story in first person. (I also included short interludes between chapters that narrate events centered on some of the important minor characters, but in third person.) This narrative overhaul led to some chapters being combined, others rewritten, and some sections being dropped altogether. It was a rough job, but the end result was a far stronger book than before. So there you have it, the story of Albion Academy in a larger-than-average walnut shell. Elijah David works as a copywriter and content editor at a Chattanooga advertising agency. He holds an MA in English (UTC) and is a member of the Chattanooga Writer's Guild. An avid reader of fantasy, he started writing Albion Academy when a trio of fictional characters grabbed his attention and wouldn't let go. He is currently working on the second of four planned books in the world of Albion Academy. In addition, he edits and contributes to the Tolkien journal Silver Leaves. As far as he knows, Elijah's only magical ability is putting pen to paper. His blog can be found at elijahdavidauthor.blogspot.com. 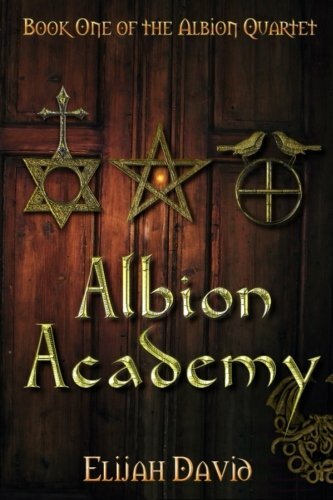 You can purchase Albion Academy on Amazon, Barnes and Noble, and Books a Million! Add it to your Goodreads shelves here, too. Thanks for sharing, Eli!